It is sensational breaking news that is making huge waves across the cities and towns from last night. 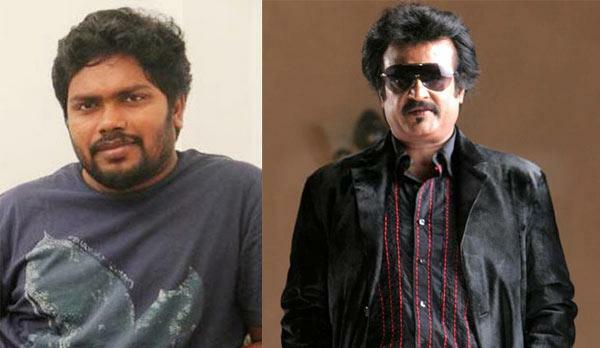 Yes, Superstar Rajnikanth will be teaming up with ‘Attakathi’ fame Ranjith who is now riding high on the success of ‘Madras’. Soon after the mixed response to ‘Lingaa’, Rajnikanth had come across many scripts and finally ‘Attakathi’ Ranjith seems to have impressed him. It has been informed by some of the close sources that Kalaipuli S Dhanu will be funding the project. Rajnikanth had couple of directors in his mind earlier that includes Sundar C and AR Murugadoss, but their scripts don’t seem to have impressed him. Finally, he had decided to team up with Raghava Lawrence for a horror movie, but there happened to be some creative difference of opinions. Apparently, Ranjith had the best script to impress and things have fallen right in places. Pa. Ranjith is an erstwhile assistant of Venkat Prabhu and he became acquainted with Soundarya while working for the film ‘Goa’ for which she was the producer. When Rajinikanth felt that he wanted to try out something new that too by directors like Karthik Subbaraj and Pa. Ranji, Soundarya immediately got in touch with Ranjith and the young director narrated a one line which greatly impressed Rajini and hugged the director and asked him to work on the full script. But Ranjith already had the full script ready. The actor said he wants to do some favour to his long-time friend and producer Kalaipuli S Thanu, and Thanu was immediately entrusted with the production and Rajini has given forty five days call sheet. The story has a tinge of politics in it and needs about forty five days of shoot without Rajini. The film as heard from the close sources would be a social oriented film as Madras and there would be some additional elements included to suit the image of Superstar Rajnikanth. The official announcements on this project will be made shortly. This film will be produced and shot in a shorter span. The director has planned to finish the movie with in 3 months of time having 45 days call-sheet from Superstar. Soon after this film, Rajnikanth will be teaming up with Shankar for a new project for the third time after ‘Sivaji’ and ‘Enthiran’.